This Valentine’s Day, skip the roses, chocolates, and over-priced dinner date – instead, plan an experience that you and your boo will really enjoy. They say couples that opt for experiences instead of material things are 80% happier and more likely to stick together. Even if we did just make up that statistic, you shouldn’t have to suffer through another year of over-priced flowers and stuffed teddy bears. Check out our round up of Cupid-approved experiences for couples in and around Portland, Maine that are sure to create memories for years to come. Pineland has over 5,000 acres of beautiful woodlands and fields that are open to the public for year-round outdoor activities. With 30 kilometers of professionally designed, well-kept trails for biking, walking, trail running, Nordic skiing and snowshoeing, you and your significant other are in for a day of outdoor adventure you’re sure to love. What better way to open up to each other than scaling the face of a frozen waterfall? The Ice Climbing Experience focuses primarily on movement skills and will get you out on the ice, swinging your tools and having fun. This one might be especially satisfying if you’ve been dealing with some relationship challenges. A one-hour session of Axe Throwing with the "Axepert" will get you started and show you the proper technique! It’s as easy and safe as playing darts, but FAR more satisfying. Portland’s only Mystery Basket cooking competition puts you into the action of your favorite episode of Chopped. 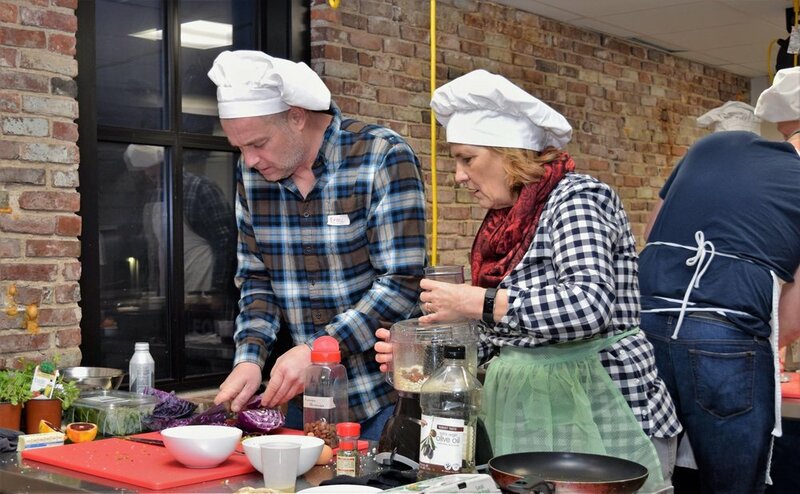 Get your other couple friends together and come cook your way through two rounds of fast-paced, fun, action in their fully-stocked professional kitchen! What better way to spend Valentine’s Day than locking yourself in a room with your significant other? At GTFO Escape Room, you’ll solve puzzles, find hidden objects and work together to escape fun themed rooms. Make a reservation ahead of time and put your skills to the test to see if you can Get The Fudge Out! If you’re looking for something that keeps the Valentine’s Day magic going, consider signing up for an 8-week class at Portland Pottery. You’ll get to shape something out of nothing and have plenty of time to learn about each other in the process. Aspiring potters are welcome to come learn how to shape, glaze and fire your own pottery. You don’t have to be a professional artist to get your Bob Ross on. Muse Paintbar takes all the classy artfulness of an art class and combines it with all of the restaurant and bar of a restaurant and bar. Come on in and enjoy some food and drink while exploring your creativity. 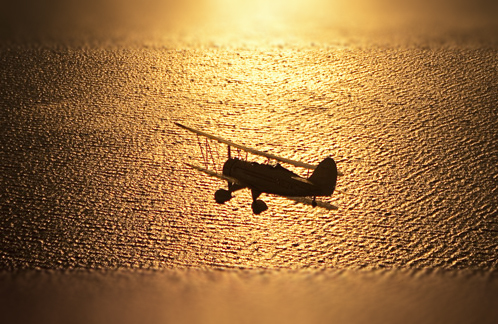 The only thing that could make a sunset more romantic is seeing it from the air. Take in the beautiful sights of Bar Harbor with Acadia Air Tours. These fully narrated flight offer unobstructed views of Acadia, Mount Desert Island and the Downeast Maine Coastline. 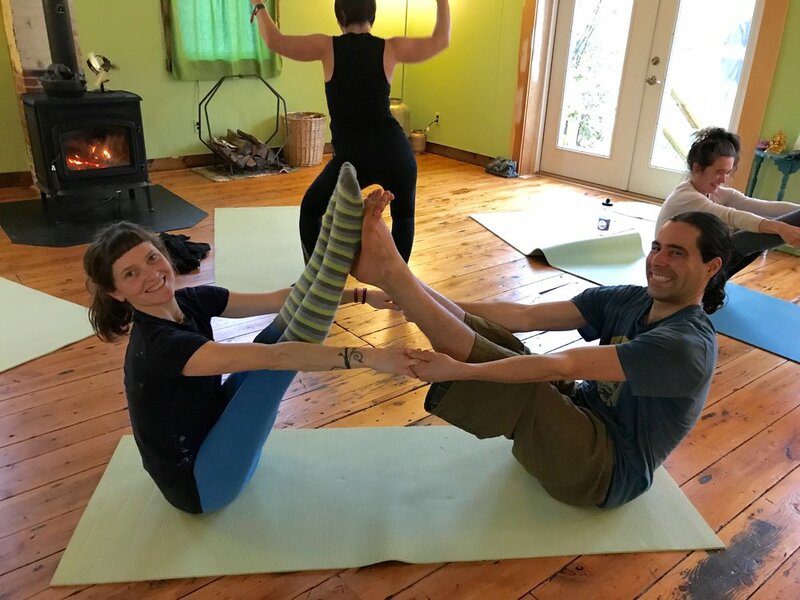 This year, build new bonds and connection with your partner through the joyful practice of Partner Yoga. You’ll help each other find postures you never thought you could and leave feeling more connected than ever. No experience necessary!